For the past two years, Nancy has served as the Chief Executive Officer of Arkansas Sheriffs’ Youth Ranches. She has more than twenty years of mental health experience. The Arkansas Sheriff's Youth Ranches is a not-for-profit organization that was created bin 1976 by Arkansas sheriff's to serve the youth community. Nancy's responsibilities include the development and implementation of mental health programs for children and adolescents in west central Arkansas. Programs include residential child care programs, outreach programs that currently serve 150 families per month, and on-going services to former ranch residents. Each campus at the ranch is equipped with lodging, computer and technology labs, on-site staff, recreational facilities, and animals and livestock. Member of panels and boards in Hot Springs, Arkansas area ensure appropriate services for vulnerable youth populations. 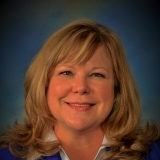 She previously served as a regional clinical director at the Pointe Outpatient Behavioral Healthcare in Hot Springs and worked for APS Healthcare as the Quality Manager for Arkansas, directing all internal and external quality and regulatory compliance functions. She is a licensed certified social worker (LCSW) by the Arkansas Board of Social Work. Nancy is Dedicated to the top level of quality care and service to the community by offering loving, supportive, and nurturing homes to children and youth. The ranches also provide a way for their residents to connect to nature and animals. They are currently in the process of building the largest pedigreed, registered Hereford herd in the state. Her future goals surround growth and development of Arkansas Sheriff's Youth Ranches, improving the quality of experience for children and youth living at the Ranches along with implementation of new programs. The new programs would serve both the Ranches residents and the communities where they are located. Example - allowing students (in social work, teachers, etc.) at nearby Universities to intern and train at the ranches to learn best practices. Nancy wants the membership to enhance her personal branding. She hopes that by joining the registry, it will help bring awareness to Arkansas Sheriff Youth Ranches. Nancy is passionate and committed to being a strong advocate and protector of vulnerable youth.